Monologues for Children - Short monologues. Monologues for Kids - Short monologues. Monologues for Young People - audio included to listen to script as well as perform it. Readers Theatre - Ideas from classroom teachers. 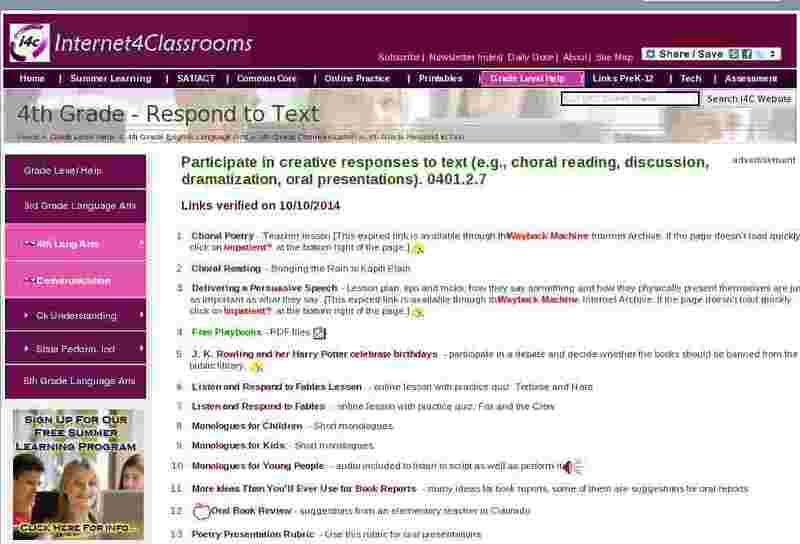 Script Resources for Readers Theatre - Scripts to use for your classroom; all age groups. Scripts - Drama - Free scripts to use in your classroom. Speaking Up on the Daily News - Here's a "News Broadcast" activity that's tons of fun...and full of valuable learning, too. Whootie Owl's Reader's Theatre Play Scripts - Complete play scripts of stories with positive themes - just print & perform!